How seriously should we take the idea that the ANC might axe Ramaphosa shortly after the elections? What’s this we hear about President Cyril Ramaphosa living on borrowed time? It’s not a new suggestion. Ramaphosa’s victory as ANC president at Nasrec in 2017 was clinched by less than 200 votes out of the roughly 5,000 cast by delegates, which was always an indication that his command of the party reins might be more tenuous than his supporters would hope. It’s worth remembering, too, that Ramaphosa’s win was achieved largely as a result of now-Deputy President David Mabuza’s powerful Mpumalanga constituency casting their lot with Ramaphosa at the 11th hour – leaving Mabuza as the natural successor to Ramaphosa in the event of a dethroning. “They are working the branches now. The (ANC) conference will take place in June 2020 and he won’t come back, I can tell you now,” Malema said. How seriously should we take Cope and EFF’s predictions? Opposition parties have an obvious incentive to stoke fears that a vote for Cyril Ramaphosa’s ANC may not result in a Cyril Ramaphosa-led ANC – and that voters should therefore not risk putting their cross next to the ruling party. Cope leader Mosiuoa Lekota also has a serious historical beef with Ace Magashule as a result of their time together in the Free State ANC. On the other hand, Malema has previously revealed himself to have pretty good sources within the ANC who appear to have fed him correct information in the past. What other evidence is there that ANC factions are scheming to bring down Ramaphosa? A Sunday Times report in September 2018 claimed that former president Jacob Zuma had held a secret meeting in a Durban hotel with Magashule, former North West premier Supra Mahumapelo, ANC Youth League KwaZulu-Natal secretary Thanduxolo Sabelo and ANC Women’s League secretary general Meokgo Matuba, allegedly to discuss plans to oust Ramaphosa. Former ANC spokesperson Pule Mabe called the report “factually baseless”, and the Women’s League stated that they “unreservedly support the ANC leadership collective under President Cyril Ramaphosa”. “Of course, there is a denial of the fightback (against Ramaphosa), but almost all indications are that there is a fightback”. Some relatively insignificant ANC-aligned groups have openly called for Ramaphosa’s removal. This week, Western Cape Cosas (Congress of South African Students) demanded an ANC NGC (National General Council) meeting before the elections to achieve this. Ramaphosa’s attempted clean-up of state institutions, the damaging information brought before the Zondo Commission and the allegations against Magashule specifically contained in Pieter-Louis Myburgh’s Gangster State, together amount to a powerful incentive for those implicated in wrongdoing to launch a challenge against Ramaphosa’s leadership. Why wouldn’t these factions act against Ramaphosa before the elections, rather than after? The accepted wisdom by now is that the ANC needs Ramaphosa to secure a strong showing in the May polls, particularly in urban areas like Gauteng. The theory, then, is that Ramaphosa would effectively be used as electoral bait to ensure another ANC majority and then discarded as soon as possible afterwards. The other side of the coin is that if the ANC’s performance in the elections is relatively poor, that can be used by the anti-Ramaphosa faction as motivation to claim that the party has lost confidence in Ramaphosa’s leadership and thereby justify his ousting. The ANC’s showing in the 2016 local elections was cited as one of the justifications for calling for the resignation of Jacob Zuma. In practical terms, how could the removal of Ramaphosa be executed? It would not be easy, as the dithering over the exit of Jacob Zuma showed. The next ANC electoral congress is not scheduled until 2022, but there are mechanisms available to the party before then. Though the National Executive Committee (NEC) has the power in terms of the party constitution to “recall any public representative”. In the past, the ANC has generally been reluctant to recall a party president without the buy-in of structures wider than the NEC because it undermines the will of the delegates expressed at electoral congresses. This would surely be doubly the case for the removal of a president who, at time of writing, has yet to even enjoy his first state inauguration. The NEC has the power to convene a Special Conference of the ANC “at any time or at the request of the majority of the provinces”. It has to give at least one month’s notice of such a conference, and ANC branches have to be represented at such a conference “in proportion to their membership”. When the composition of the 86-person NEC was announced at Nasrec in 2017, it was clear that the body was composed virtually 50/50 of Ramaphosa supporters and those in the camp of his presidential rival Nkosazana Dlamini Zuma – a split that led many analysts to predict potential stalemates ahead on key decisions. Decisions don’t get more key than the potential removal of the party president. Magashule also has known opponents in the NEC, in the form of the likes of Derek Hanekom, Jackson Mthembu and Fikile Mbalula – who tweeted before Nasrec that the prospect of Magashule as the ANC Secretary-General was “a definite no no no, the man will finish what is remaining of our movement”. If the NEC could not agree on whether to call a Special Conference to discuss Ramaphosa’s recall, a majority of provinces making the demand would do the trick. Whether the Magashule faction would be able to win over the necessary five provinces is hard to say, and would depend heavily on the alleged “work on the branches” cited by Malema as already underway. The Western Cape and Gauteng would be a hard sell; Free State and KwaZulu-Natal, probably in the bag. Then there are dark horses, like Mabuza’s stronghold Mpumalanga. Rallying the required provincial support would not be straightforward, and would also be impacted by the results of the elections in May. What would the impact of Ramaphosa’s removal be? 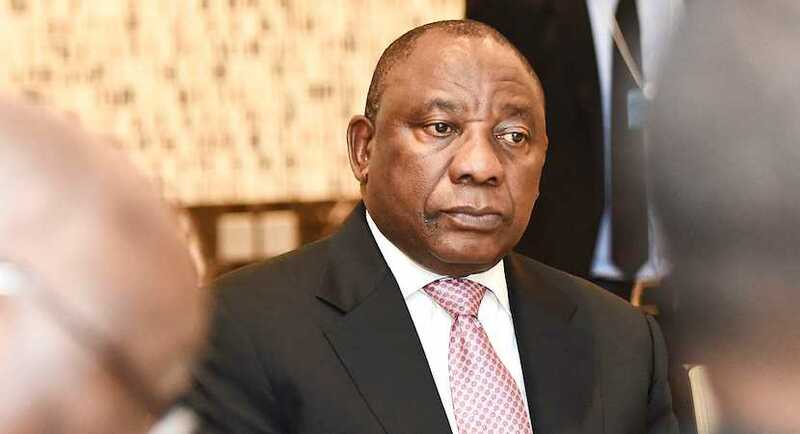 Ramaphosa would become the third South African president in a row to leave office before his scheduled end of term, which would not play well in terms of ANC optics. It would also, needless to say, send the rand into a tailspin. The bigger picture in terms of South African governance is also bleak, as it would almost certainly torpedo the attempted clean-up of state institutions and law enforcement. How should these rumours affect our vote? You can argue it either way. It’s possible to make a case, as opposition parties have done, that voting for the ANC is a high-risk manoeuvre if the potential end result will be a majority for a party which goes on to bin the man whose face appeared on the ballot sheets.